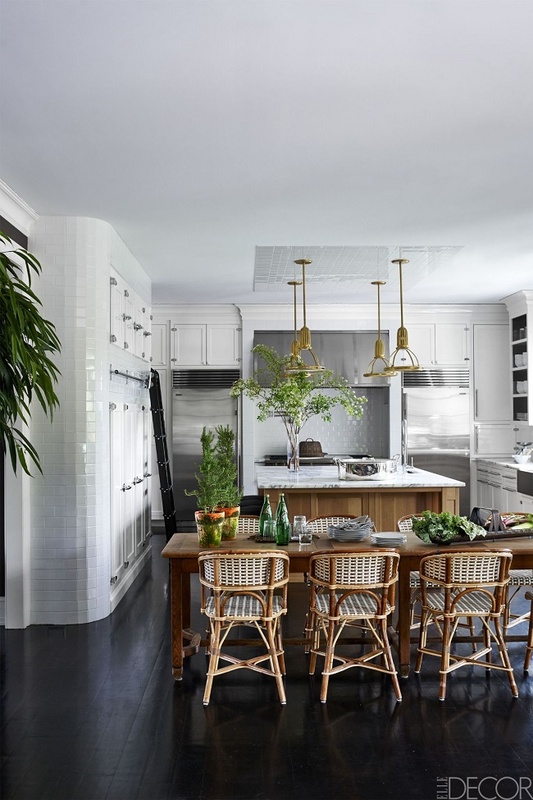 This stunning kitchen is designed by Manhattan decorator Nannette Brown. The warmth from the vintage wood table, island and bistro chairs provides a visually delightful contrast against the sleek and modern appliances. The combination of beautiful brass vintage pendant lights and vintage style cabinet evokes a nostalgic feel which I find to be quite charming. Such a gorgeous, timelessly chic kitchen, what's not to love about this space? Are you drawn to this updated classic kitchen as well? Your thoughts?